Perfect for court or any special occasion! 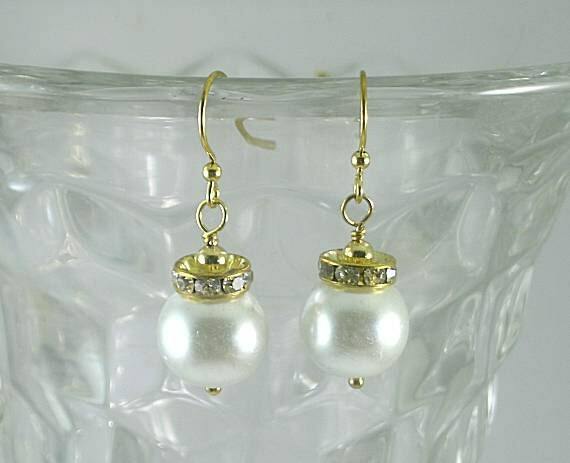 These earrings are made of a large 13mm pearl with a 10mm crystal roundel spacer and a 4mm gold bead as a cap. They have gold plated stainless steel French hook ear wires. They are approximately 40mm in length which is about 1 1/2 inches. We ship via USPS Priority Mail - Insured so that all packages have a tracking number.